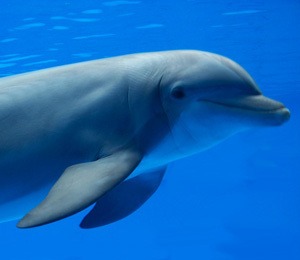 Many people have dreamed of being a dolphin trainer since they were little kids. From out dolphin centers in both Nassau Bahamas and Freeport (located on Grand Bahama Island), we offer special all-access “Trainer for a Day” programs that give curious guests a chance to see what it is like to be an actual dolphin trainer! This is an excellent to really see what goes on behind the scenes and to get a better idea of what it is like to work at an actual dolphin center. Both dolphin centers that we work with are state-of-the-art and world-renowned centers for dolphin research and education. With any of the Bahamas dolphin programs you see on our website, we provide a truly educational and informative program that will teach all of our guests a little bit more about these beautiful animals. The Trainer for a Day programs are, without question, our most interactive and invested programs. These are for Bahamas visitors who are truly passionate about marine biology and who really want to see the nitty-gritty of taking care of marine animals and providing top-notch educational programs to guests. 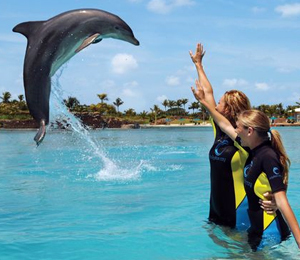 If this sounds like it is something that is right up your alley, then take a look at our one-of-a-kind Bahamas dolphin Trainer for a Day programs below! Our Dolphin Trainer Program in Nassau takes place at the beautiful, remote island of Blue Lagoon. 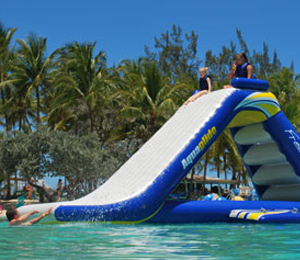 And for the Freeport Dolphin Trainer for a Day program, you will be heading out to Sanctuary Bay from the offices of Unexso at the Port Lucaya Marina. This tour is a must for all dolphin enthusiasts! If you're looking for a hands-on experience then take a walk in the shoes of our dolphin trainers. 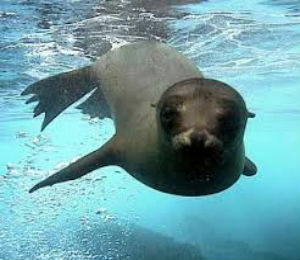 During this adventure you will learn how to take care of these majestic animals in their own habitat. You will also receive a photo of you and your trainer, a t-shirt and certificate of completion.